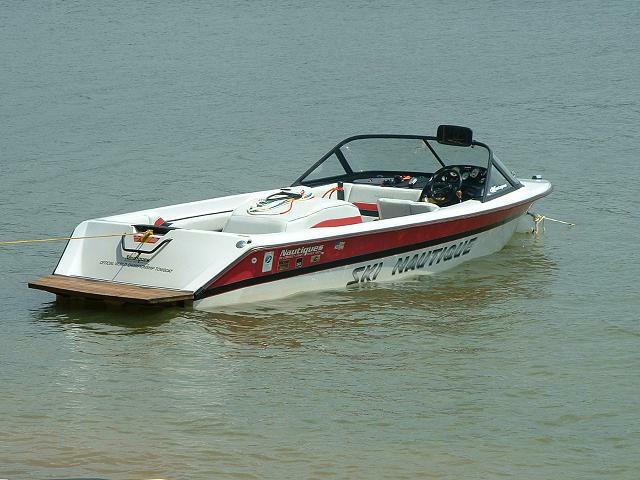 Heading down to Texas on Saturday/Sunday to pick up this 1999 Ski Nautique Open Bow! Needs a little work, but it is going to be awesome when I am finished with it. I think I'll keep this one for a while. As with all of my boats lately, it needs an unobtainable windshield. Anyone got one for a TSC SNOB laying around? Nautique wants $3,000 for the windshield. Nice looking boat! I love that color combo. That windshield is a bummer, for sure. Were there any SNCB's of that era with a walk-through? Otherwise, yeah, that's a pretty rare bird indeed. I am really excited to see how this one turns out. This is like a second chance. You get to take all the lessons learned from your '98 and do them this time around. Very true! Honestly, there isn't much I would have changed about that '98. I really think that one turned out great. The only things I would have changed would be the color of the Seadek (the Mica color showed every spec of dirt), and the engine was the small 240 HP carbed engine. Not a bad engine at all, but if my plans work out with this one like I expect them to, this one will be just a bit more powerful. I expect them to, this one will be just a bit more powerful. Yeah, you haven't revealed what that one has in it yet but I fully expect the Python. I tell you though, the GT40 HO is a lot of power for that little boat. It has a GT-40 in it right now. Will that be staying? Only time will tell. engine swaps?.... now we’re talkin! 1999 19' open bow, sold! Nice to meet you Jeff! Can't wait to see how she finishes out. Parkinglot Nice meeting you too! I'll keep you posted. Made it to Birmingham, AL. Stopping for the night. Also, I love the blue from that era of boats. LOL....I had already contacted that seller, Jeff said he already has that windshield on his 2001. Yep, that windshield is already on this boat. Ok, here's the official starting picture. I probably won't get much done on this one until the second week in April, but I might try to get the engine running this week if I find the time. The engine swap probably isn't going to happen right now. I thought I had a great deal on a Python boat, and that engine was going to go into this one, but the guy sold it out from under me. Certainly nothing wrong with running the GT-40 that's in this one. I have all of the cushions for the bow and the remains of the windshield frame. The boat is very complete, and really looks to be in nice condition once I scrub the grime off of it. I can't wait to hook up a battery and see how many hours are on it. By the condition, I am guessing 500 or less. We'll see! Actually, now I am really curious, so I think I'll go hook up a battery real quick and see. Wow, I called that one. Not bad for a 1999 (twenty-year-old boat).